Water mitigation is the process by which WSC Construction and Restoration goes about to repair the damage that has occurred after any water-related event, as well as prevent further concerns. They offer the best in 24-hour residential water restoration services, because the fastest response will prevent additional damage and costs. 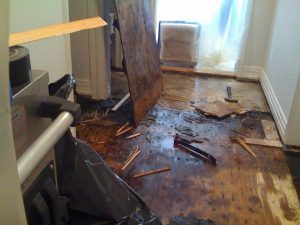 Water damage can occur in any home from Bath to Louisville for any number of reasons — including spring flooding from excess rain and inadequate township infrastructure, a broken pipe, or a sump pump that has failed, resulting in water in a basement. No matter the cause, this local disaster restoration company knows that any variance to a daily routine or damaging effect on a wallet can cause high anxiety. They are thorough in the process that they have perfected over the years, starting with the initial inspection that will evaluate the extent of the damage. They then begin the water removal process with state-of-the-art pumps, vacuums, and fans that will dry and dehumidify the affected areas. Occasionally, homeowners from Portage Lakes to Strasburg are tempted to perform the water mitigation themselves, but this process must be done properly to avoid the need for mold remediation at a later date and is best left to the professionals. Everything is cleaned and sanitized to prevent bacterial growth, followed by the WSC’s remodeling and construction services to restore a client’s home back to its former glory. Having a home affected by a fire is devastating. Anyone from Bath to Louisville affected by a house fire can rely on the compassionate and quick response time of WSC Construction and Restoration. Water mitigation goes hand in hand with fire mitigation, so their 24-hour residential fire restoration services follow specific steps that will immediately protect a homeowners’ property from further damage with the initial priority being tarping and sealing. The steps from this point forward coincide but with more involved cleaning than with water since soot and smoke particles hide in more obscure locations, like wall sockets, inside the walls, carpet, and ductwork. The invisible particles of soot and smoke are also full of chemicals, and exposure can cause someone to suffer from respiratory or heart issues, asthma, stroke, cancer, or premature death. Letting the professionals at WSC Construction and Restoration handle everything will relieve the anxiety associated with such catastrophic circumstances. 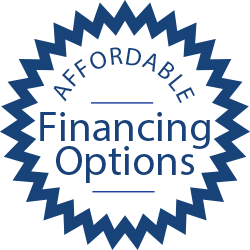 They even offer home improvement financing as they deal with the insurance company so that returning to a normal life can progress without delay! Whether someone in Strasburg, Ohio, has walked down the stairs to water in their basement from a failed sump pump or a family in Portage Lakes, Ohio, was woken up by the smoke detector, the 24-hour restoration services of WSC Construction and Restoration must be the first call! Their teams are always ready, since immediate water and fire mitigation are the key to preventing any further damage or the need for mold remediation in the future. This local disaster restoration company not only uses the latest technology in the cleanup process, but they also provide home improvement financing and the appropriate remodeling and construction services that can bring anyone’s property back to its previous state. Anyone from Bath, Ohio, to Louisville, Ohio, needing residential fire and water restoration can rely on the professionals at WSC to alleviate the intense stress during this time. This entry was posted in Home Improvement, Mold Remediation, Water and Fire Restoration and tagged 24-hour restoration services Portage Lakes Bath Louisville Strasburg Ohio, fire mitigation Portage Lakes Bath Louisville Strasburg Ohio, home improvement financing Portage Lakes Bath Louisville Strasburg Ohio, local disaster restoration company Portage Lakes Bath Louisville Strasburg Ohio, mold remediation Portage Lakes Bath Louisville Strasburg Ohio, remodeling and construction services Portage Lakes Bath Louisville Strasburg Ohio, residential fire restoration Portage Lakes Bath Louisville Strasburg Ohio, residential water restoration Portage Lakes Bath Louisville Strasburg Ohio, water in basement Portage Lakes Bath Louisville Strasburg Ohio, water mitigation Portage Lakes Bath Louisville Strasburg Ohio, WSC Construction and Restoration by admin. Bookmark the permalink.